Napoleon famously dismissed the British as a nation of shopkeepers, though he was possibly referencing the great Scots economist Adam Smith who had earlier used the phrase in his epic work, Wealth of Nations. In any case, both were beaten to it by Josiah Tucker, the Dean of Gloucester who, ten years before Smith, wrote “and what is true of a shopkeeper is true of a shopkeeping nation”. Whoever was the source, the aphorism is showing its age. We may still be a nation of shoppers, but shopkeepers are fast disappearing as customers swap bricks and mortar stores for the click of a mouse or tap on a smartphone. Shops are closing at an alarming rate, not only putting pressure on brand owners, but also on landlords, property agents and local authorities. Even where stores remain, many will be run without any human interaction. Amazon opened a supermarket in Seattle with no checkout operators or self-service tills. Instead it uses hundreds of ceiling-mounted cameras and electronic sensors to identify each customer and track the items they select. As the organisation’s head of insight & analytics (aka, chief economist), Lund sees first hand the effect on retail patterns of everything from the weather to new phone apps. What is not in doubt is that shopping is undergoing fundamental change and will continue to do so. “There is no retailer who believes we are going to reverse the changes that have happened,” she says. 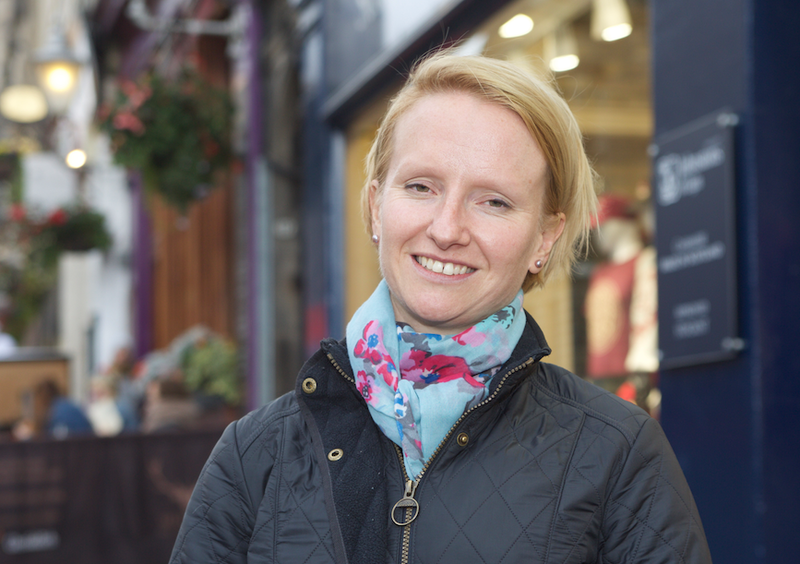 Like many retail analysts, town centre planners and shopping “gurus” she says the high street must accept that there is no going back and seek a new use for those increasingly empty units. “People will still want to come into the centre of our towns and cities as a day out and that means they have to be places with something to do – gyms, cafes, activity centres,” she says. Lund is in Edinburgh to meet the consortium’s members and gather local information ahead of meetings at the Scottish parliament where the topics likely to have been keenly discussed will have included rising costs. Chatting over coffee at the Balmoral, she reels off numbers that spell out the challenges ahead: retailers pay 22% of all rates in Scotland (23% in England and Wales); business rates (England and Wales) rose by 8% between 2015 and 2017, while revenues grew by only 3% (similar figures for Scotland). A big worry emerged 24 hours after we chatted when inflation jumped unexpectedly. If the 2.7% figure is maintained into September it will add £80m to business rates bills across the Scottish business sector as this is when the calculation is set. With retailers picking up a fifth of that sum it doesn’t take much to work out that this is another pressure on the beleaguered shopkeeper. Lund doubts that any government would scrap business rates as it is such a huge contributor to the exchequer. In the meantime, the BRC has called for a two-year freeze to help the sector cope with existing costs, including the minimum wage which has a big impact on retailers. So does she support calls for an online tax? “It is just another tax. In any case, the biggest online retailers are also the biggest bricks and mortar companies,” she says, explaining that behind Amazon are Tesco and Sainsbury’s. She adds that imposing an online tax would have implications for other sectors: insurance, betting firms, holiday companies. Analysts see winners and losers simply between those that adapt to the online challenge and those that fail to keep up. While John Lewis was an early adopter, House of Fraser has been a notable laggard and Marks & Spencer was forced to make some swift changes to improve its offering. What is clear, is that in an age of instant gratification, online services have to be super efficient and this is still a drag on web-based shopping. Non-food sales are generally moving online more quickly, with half of all white goods are now sold this way. Lund says 18% of retail sales are online, a figure that will rise to around 25% over the next three to five years. For non-food it is 25% which is expected to hit 33% over that period. She attributes this to people browsing or simply being unable to buy because of the restrictions of the site. Also, whatever technology is developed, it will never replace the physical experience of purchasing. “We still like to feel the goods, the quality. We like to try things on,” she says. Does she see a future for the high street? Any particular likes or dislikes? I have an aversion to baked beans. Not a bean counter then?…. If you could meet three people past or present, who would you invite?